BARCELONA, Spain—A number of location-based ad-tech players are at Mobile World Congress this week to talk about the shift from online to real-world advertising, and xAd's pitch to global marketers is particularly interesting. 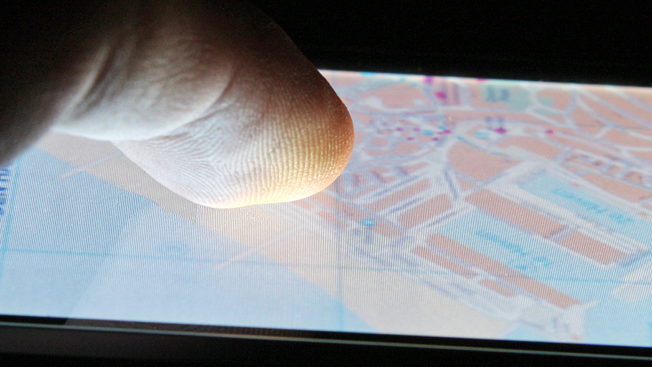 Buying location-based mobile ads, it says, is as easy as purchasing a search campaign. Today, xAd is unveiling a new ad-buying tool called MarketPlace that's built off data from 100 million locations the company has collected through its Blueprints and Footprints products in recent years. Similar to a website, each location is tagged with keywords—"fast food lovers," "car dealerships," or, more precisely, "KFC stores" and "BMW lots"—that marketers buy to target specific groups of consumers with mobile ads. KFC, OMD and iHeartMedia are among a handful of advertisers that have tested the searchlike buying method, which powers ads in 70,000 apps reaching 300 million global users. "When search came out, online context [came from] crawling Web pages, and you would categorize them by keywords. And you bought the keywords, which was the intent signal," said Dipanshu Sharma, CEO of xAd. "In the real world, we've crawled the locations, so now we have over 100 million locations mapped out." "Those who are bidding [online] on 'luxury cars,' for example, are looking for people who are looking at BMW, Mercedes or Lexus [content]—very few of the people who are searching actually go to a dealership to do a test drive," Sharma said. "Now, we're allowing people to bid on BMW dealerships themselves, which means people who physically walk in are now available to be bought." Brandon Starkoff, head of brands and agencies at xAd, added that pinpointing car dealerships also helps marketers understand if the person is in the market for a luxury car or a nonluxury model. "We're able to articulate and differentiate what is a luxury-auto type of customer based on their patterns," he said. Marketers often buy the location-based promos in real time to jump on waves of foot traffic, but they're increasingly creating mini profiles of people used for targeting by stitching together pieces of location data. Someone who goes to McDonald's for breakfast and KFC for dinner every week, for example, has different preferences than a person who goes to a fast-food restaurant once every few months. "It's not just the real-time aspect of things, but it's also your recent behavior of where you're going," Sharma said. "We could prove that an incremental half-million visits came through directly from our xAd initiative," Corsinita said. "Now it's a matter of exploring those new creative options as we develop these specific targeting segments."